Wellspring Holistic Center will hold an Open House and Art Sale, at our East Stroudsburg location, on December 1st from 4pm-8pm and December 2nd from 10am -3pm. 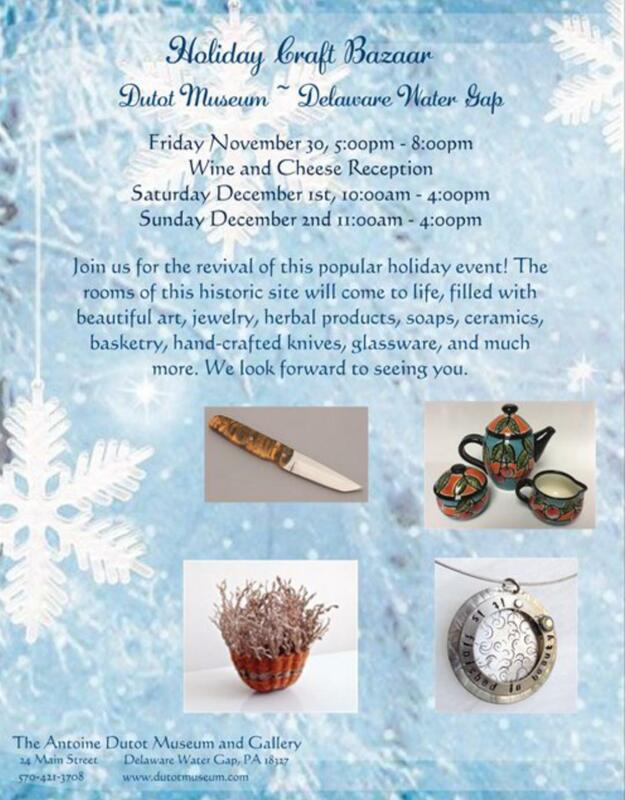 Our healing center will be filled with beautiful hand made crafts. Peruse our treatment rooms while sipping tea and savoring homemade, gluten free, sugar free treats. It promises to be your most relaxed shopping of this holiday season. Painting (in lots of styles an mediums) is my passion. Over the years I have painted on paper, canvas, glass, wood, stoneware and now porcelain. Every mug, every bowl seems like a 3 dimensional canvas waiting for an original painting. I might be holding a grand child, knitting for a grandchild, painting a grandchild’s portrait, flipping pancakes for grandchildren, …. well, you get the idea. It is time for Wellspring Holistic Center’s eighth annual Holiday Open House and Art Show on Saturday, December 5th and Sunday, December 6th, at 243 East Brown Street, in East Stroudsburg, Pennsylvania. The hours on Saturday are from 4 PM to 8 PM, and on Sunday from 11 AM to 3 PM. Saturday night will also feature a wine and cheese reception. Event is FREE and open to everyone! As always, you will be able to shop for your holiday gifts in the serene and peaceful atmosphere of this beautiful holistic center. The art and the crafts have been created by some of the Pocono’s finest artisans. This year we welcome back co-directors of the center, Anita Bondi and Louise Bowman, with hand-made jewelry, soap, salves, tinctures, and organic candles. Returning to the show will be Susan Bradford with her mandalas, baskets, and crystal bracelets and John Lenz with his hand-hooked rugs. New this year will be pottery by Jill Cantor and photo cards by Rae. The mini-treatments that are being offered include many healing modalities, such as, massage, reflexology, Reiki, myofascial release, EFT, Gestalt therapy and more. 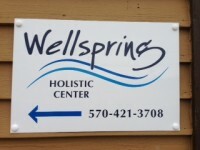 For more information, call 570-421-3708 or check out our offerings and get directions to the center at http://www.WellspringHolisticCenter.com. One of the things that makes Wellspring Holistic Center’s Open House and Art Sale so unique is that shopping becomes a relaxing experience without the stress of malls, jammed parking lots, and impersonal items made overseas! You are welcomed and greeted at the door. You are offered a glass of wine or cup of tea and organic treats. You talk to the artists who made the gift you are giving to a loved one, and you have the choice to finish your shopping experience with a mini- treatment! Bliss. 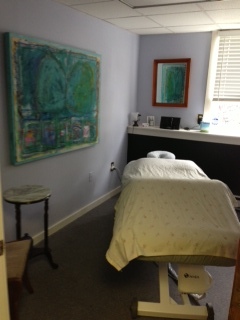 Your mini-treament will be in a warm, inviting room with a wonderfully skilled healing practitioner. Friday night we will have Nancy Olivieri offering Reiki and Martha Heise offering Myofascial Release, Reiki, or Massage. Louise is available for acupuncture as well!